This item is sold as a bolt of 30 yards. 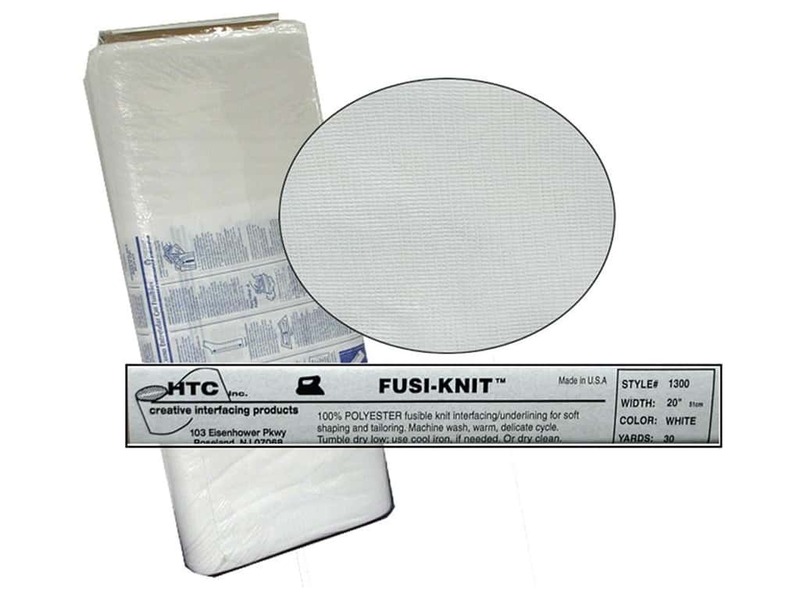 Description: HTC Fusi-Knit Tricot Interfacing is a fusible knit interfacing and underlining used for soft shaping and tailoring. Recommended for light to medium weight knits and wovens. Machine wash warm, delicate cycle. Tumble dry low, use cool iron if needed. Or dry clean. 100% Ppolyester tricot. 20 inch x 30 yards. White. Handler Fusi-Knit Tricot Interfacing 20" 30 yd (30 yards) -- CreateForLess 5.00 out of 5 based on 1 ratings. 1 user reviews.